In a mere ¾ mile trek, a visitor to the Gladys Porter Zoo will encounter a diverse ensemble of 377 species of animals and 225 species of plants. The park is divided into four zoogeographic areas: Africa, Asia, Tropical America and Indo-Australia. 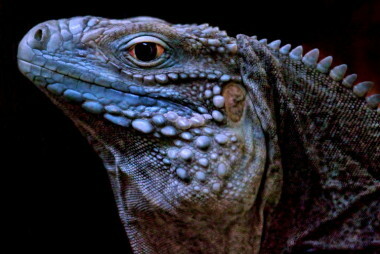 There is also a Herpetarium, Tropical America Free-flight Aviary, Macaw Canyon, Bear Grottos and Komodo dragon exhibit. Small World features a nursery and an animal contact yard where children can touch and interact with domesticated animals. Large numbers of wild birds find sanctuary on the Zoo grounds, drawn to the plants and waterways that provide them with food and shelter. Tropical America represents a region that includes all but the northernmost part of Mexico, all of Central America and the northern two-thirds of South America. This extremely lush area is home to an incredible variety of plants and animals; nearly one-half of all known species on earth live in this region. 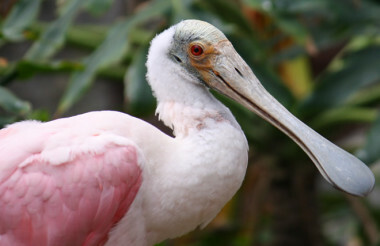 In the Gladys Porter Zoo’s Tropical America, visitors can view Macaw Canyon, Galapagos Tortoises, Caribbean flamingos, spider monkeys, Orinoco crocodiles, Cuban crocodiles, and dozens of other unique and rare animals from the tropics. This area of the Zoo represents the regions of Indonesia, the Philippines, New Guinea, Australia and New Zealand. In this area, Zoo visitors can view orangutans, tree kangaroos, kookaburras, Philippine and saltwater crocodiles, agile wallabies, and magpie geese, along with many other creatures native to Austrailia. This region of the Zoo also features our Indo-Australian Aviary with a pair of rare rhino hornbills. The continent of Asia is a land of extremes and unbelievable diversity. It’s unsurpassed range of elevations, latitude and climatic influences produce the greatest variety of habitats on any continent. In the Gladys Porter Zoo’s Asia, one can find such animals as gaur, addax, Bactrian camels and pileated gibbons. 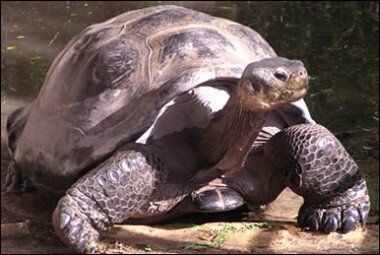 Some of the more popular zoo animals are representatives from Africa. 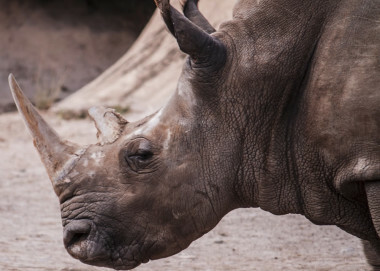 This Zoo exhibits some of its more familiar animals, like reticulated giraffes, Grant’s zebras, African lions, ostrich, Western lowland gorillas, chimpanzees and white rhinos, along with some of the not-so-familiar animals such as Arabian oryx, greater kudu, cape hunting dogs, bontebok and bongo. This section features a contact yard, baby animal nursery, and various exhibits themed to small, baby and miniature species of animals. In the contact yard, visitors can experience close encounters with some of the Zoo’s inhabitants such as Nigerian dwarf goats, miniature horse, miniature zebu and domestic, minor breed chickens. The nursery contains any new Zoo baby that needs special care or hand-rearing. In the Herpetarium, visitors will find some of nature’s most intricate patterns and unique shapes! One can check out a giant Reticulated python or try to tell the difference between a venomous coral snake and a harmless Mexican milksnake. 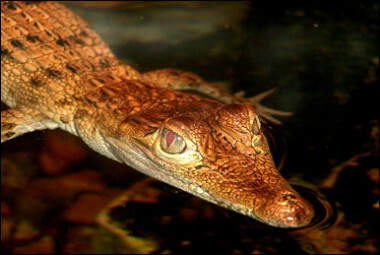 Additionally, there are many different species of lizards, turtles, and even some very rare crocodilians on display in the Herpetarium. Old favorites like rattlesnakes, boa constrictors and gila monsters join with baby radiated and star tortoises, crocodile monitors and eyelash vipers to make a truly diverse exhibit of herpetofauna. The Russell Aquatic Ecology Center is all about the aquatic habitats of South Texas and the animals and plants that live there. Some of the exhibits feature naturally occurring habitats such as the open ocean, resacas, sea grass beds and mangrove groves, while others display man made habitats such as jetties and piers. The largest exhibit in the center is the 30,000 gallon Deep Water Exhibit. It features red snapper, black drum, sandtrout, sheepshead, spadefish, snook, lookdowns, jacks, and of course everyone’s favorite – sharks! The Keppel AmFELS Ghostly Jellyfish exhibit is home to moon jellies. In addition, a variety of smaller exhibits will be scattered around the Aquatic Center, which will allow us to display animals that might get lost in the larger exhibits such as seahorses, octopus, sea robins, stargazers, live shrimp, crabs and live snails. And finally the Stingray Touch Tank, crowning glory of the Aquatic Center, will house a variety of local stingrays, cownose rays, southern rays and Atlantic rays. Visitors will be able to touch the rays. The Center is open from 9:00 a.m. to 5:00 p.m. daily. There is no additional fee to enter. The bear grottos are naturalistic rock enclosures with caves and waterfalls, where sun bears, spectacled bears and black bears can play in the water or spend a lazy afternoon just napping in the sun. Adjacent to the amphitheater where you can experience a Safari Chat. This program is offered in the Zoo amphitheater and includes animal facts and the chance to get a close look at – and even touch – live animals. Click on Safari Chat for a schedule. A walk through our newly renovated South American Free-Flight Aviary will reveal dozens of unusual and colorful birds in a tropical rainforest habitat. The Aviary now includes crashing waterfalls, a meandering stream and 18 species of colorful birds, including scarlet ibis, blue-crowned motmots and roseate spoonbills. will be available at the feeding site. Giraffe Landing is located at the giraffe exhibit in the Africa section of the Zoo. Giraffe treats will be available for purchase for three dollars. Giraffe Landing will be open on weekends and during special engagements from 11:30 a.m. to 12:30 p.m. and 2:30 p.m. to 3:30 p.m., weather permitting. 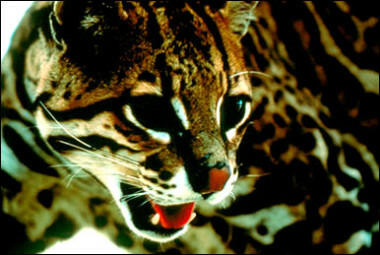 This, the Zoo’s newest exhibit, contains a unique playground and botanical garden dedicated to the plants and animals of south Texas. A 23-foot tall Discovery Tree sports an impressive array of native animal carvings while offering extensive opportunities for themed play. Children of all ages can cool off under the misters at Martha’s Cove, meander over walking trails lined with native plants, and play make believe in the whimsical Clubhouse and Toddler Boat. This new display is a stone’s throw from the playground and houses many species of live butterflies and assorted arthropods. When the season is right, observe the emergence of a butterfly from its cocoon at the butterfly breeding facility viewing window within the exhibit. The exhibit is open daily from 10:00 a.m. to 4:30 p.m.
A replica of a real canyon in the Mexican state of Tamaulipas, this area of the Zoo provides 56,000 cubic feet of free-flight space for military and blue and yellow macaws. Additionally, this spacious exhbit is home to crested caracaras and king vultures. The Zoo’s Realm of the Dragon exhibit features the rare Komodo dragon. The unique and endangered species is the largest monitor in the world and can attain lenghts of 10 feet; adult males can weigh over 220 pounds.